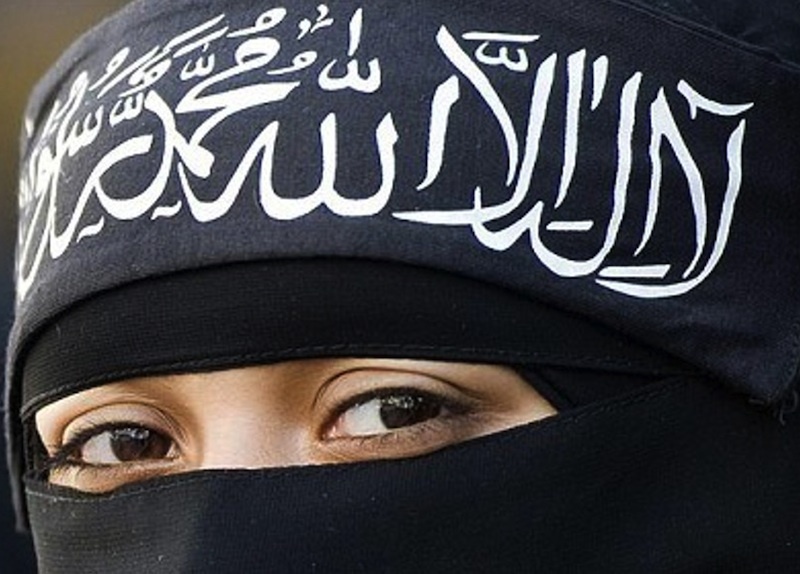 The question of the Muslim veil seems never to leave the headlines for long. 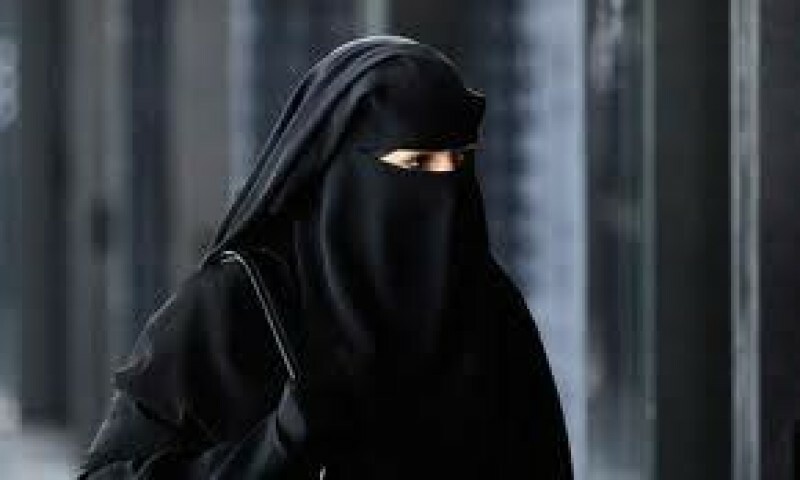 If the debate is not about whether states, such as France or Belgium, should have the right to ban the face veil in public, it is about what limits there should be to the wearing of the burqa or niqab in those countries, such as Britain or Germany, that do not ban it. The latest controversies have erupted in Britain after a defendant in a criminal trial demanded the right to wear a niqab in court and a college attempted to proscribe it. Given that too much has already been written over the past week about this issue – I should know, I have read virtually all of it – and given that I have already set out my stall on the burqa ban, I hesitated before writing this post. It seemed useful, however, to try to place this debate in a broader context. ‘This is not about the burqa’, the French philosopher Bernard-Henri Lévy claimed in 2010 in the midst of the French debate on a ban. ‘It’s about Voltaire. What is at stake is the Enlightenment of yesterday and today, and the heritage of both, no less sacred than that of the three monotheisms.’ Leaving aside the absurdity of the idea that the entire weight of the Enlightenment tradition should rest on the banning of a piece of cloth worn in France by a fewer than two thousand women, Lévy is right in this: the debate is much more than about a handful of women (in Western countries at least) donning the face veil. It is about how we conceive of freedom and liberties, values and identity. It is our difficulties in thinking through some of these issues that makes the burqa such a potent symbol on both sides of the debate. I want, therefore, to take a step back and explore four of the issues underlying the burqa debate. What does religious freedom mean? Is such freedom different in a plural society? What should be the role of the state? And of civil society? What does religious freedom mean? Part of the problem in debates such as this is our unfortunate habit of thinking of ‘religious freedom’ as if it were a special kind of freedom. There are historical reasons for this. The modern debate about tolerance and rights developed in Europe from the seventeenth century onwards primarily within a religious framework. Questions about what could be tolerated were at heart questions of how, and how far, the state, and the established church, should accommodate religious dissent. Today, we live in very different world. Religion is no longer the crucible within which political and intellectual debates take place. Questions of freedom and tolerance are not about how the dominant religious establishment should respond to dissenting religious views, but about the degree to which society should tolerate, and the law permit, speech and activity that might be offensive or hateful, that might challenge the state or undermine national security. From today’s perspective it is easier to see that religious freedom is not a special kind of liberty but one expression of a broader set of freedoms of conscience, belief, assembly and action. Religious freedom does not mean that believers have any special protection from ideas or practices that may offend them or cause them distress. Nor does does it mean that non-believers do. Danish newspapers should be free to publish cartoons about Muhammad. Muslim women should be free to wear a burqa. Is the meaning of religious freedom different in a plural society? What has changed today is the perception that unlike in the seventeenth century, when the faiths demanding freedom to dissent were primarily Christian, the current ‘dissenting’ faiths are mainly non-Christian, most notably, of course, Islam. There is a sense, from both proponents and opponents of the burqa ban, that the growth of multiculturalism, and in particular the emergence of Islam as a social force in Western societies, must necessarily change the way we look upon religious freedom. Many multiculturalists insist that there is a duty upon the state to preserve and to nurture minority communities and their cultural mores. The sociologist Tariq Madood, for instance, makes a distinction between what he calls the ‘equality of individualism’ and ‘equality encompassing public ethnicity’, the latter meaning ‘equality as not having to hide or apologise for one’s origins, family or community, but requiring others to show respect for them, and adapt public attitudes and arrangements so that the heritage they represent is encouraged rather than contemptuously expect them to wither away.’ But why should I not be contemptuous of certain mores, from whatever culture they derive, or not expect them to wither away? What does respect mean if it is enforced rather than voluntary? To require people to give respect to various cultures and their mores, to insist that public arrangements be adapted to accommodate them, is to transform freedom into privilege. Rather than to nurture liberty, it is to imprison cultures. On the other side of the debate, many view non-Western cultures, and Islam in particular, as threats to be resisted. The American writer Christopher Caldwell suggests in his book Reflections on the Revolution in Europe that Islam ‘has broken… a good many of the European customs, received ideas and state structures with which it has come in contact’; it ‘is not enhancing or validating European culture; it is supplanting it’. Muslim immigration, in his eyes, is akin to an ‘invasion’ that provokes ‘the most worrisome’ of questions, ‘such as “How well will they fit in?” “Is assimilation what they want?” and, most of all, “Where are their true loyalties?”, questions that were not, he thinks, raised by previous cultures, faiths or immigrants. In fact, those were exactly the questions asked of previous migrants and dissenting faith groups. The English philosopher John Locke is often regarded as providing the intellectual foundations of liberalism and of modern liberal ideas about freedom of expression and worship. Yet, for Locke, the Catholic Church, had ‘no right to be tolerated’ because, in submitting to the authority of the Pope, Catholics ‘deliver themselves up to the protection and service of another prince’. This is, in effect, ‘the settling of a foreign jurisdiction in his own country’. As late as the 1950s, the historian Leo Lucassen observes, Catholicism was perceived in the US as ‘representing an entirely different culture and worldview, and it was feared because of the faith’s global and expansive aspirations’. Jews, too, were (and sometimes still are) seen as ‘supplanting’ native culture not ‘enhancing’ it. The 1903 British Royal Commission on Alien Immigration, set up because of anxieties about Jewish immigration, expressed fears that newcomers were inclined to live ‘according to their traditions, usages and customs’. According to one witness to the Commission, ‘There is no end to them in Whitechapel and Mile End. These areas of London might be called Jerusalem’. Two years later Britain introduced its first immigration law, the 1905 Aliens Act, primarily to bar European Jews. There is little new, then, in the contemporary debate about Islam. What Islam does is not to change the terms of the debate, but to give that debate a new, emotional charge (just as the issue of Catholics or of Jews did in the past), an emotional charge that often makes it more difficult rationally to discuss an issue such as the burqa. Proponents of a ban suggest that the burqa does indeed cause harm. Many worry that niqabs and burqas would pose a security threat, at airports or in banks, and that that covering oneself completely makes it difficult to perform certain jobs, particularly those that require face-to-face contact with clients or the public – doctors, nurses, teachers, police officers. These are all valid concerns. But they are also concerns that can be solved on a case-by-case basis without the need for draconian legislation. 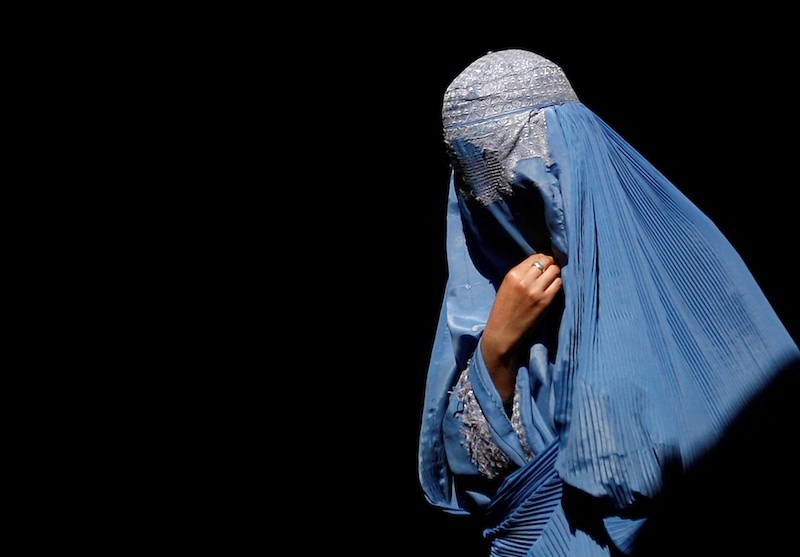 Airports already require veiled women to reveal their features when passing through security. Police have no problem demanding to see faces when checking ID cards. And if banks insist that people should not wear bulky clothing, so be it. But that is very different from the state imposing an outright ban on such clothes. Banning a woman from wearing a burqa in a park will not improve security at the airport. If wearing a burqa is incompatible with the needs of particular jobs, then those particular employers – hospitals, schools, shops even – can legitimately demand that employees not hide their faces. But again, one can impose dress codes for certain jobs without banning a type of clothing for everyone. After all, we are quite able to ensure that judges or teachers don’t wearing bikinis on the job, without needing a national ban. Others worry that the burqa causes harm both by oppressing women and by making social integration impossible. The burqa is certainly demeaning to women, and often used to enchain them. Many other practices and rituals that Western societies tolerate are, however, also degrading. The Catholic Church forbids women priests. Many Protestant evangelical churches insist that wives must ‘obey’ their husbands and that the role of women is to breed new evangelicals. Nobody seriously suggests that the Catholic church be forced to accept gender equality in choosing priests or that evangelical wives be saved by state legislation from being baby factories. A liberal society accepts that individuals should be free to make choices that may not be in their own interests and that, to liberal eyes, demean them. This applies even to particularly distasteful expressions of degradation, such as the wearing of the burqa. Does not the burqa impede social integration? The veil has been rightly described as ‘ghetto walls that a person wears’. It often inhibits normal social interaction – that, after all, is its very purpose – and may preclude those who wear it from integrating into society. But the numbers wearing the burqa are tiny. 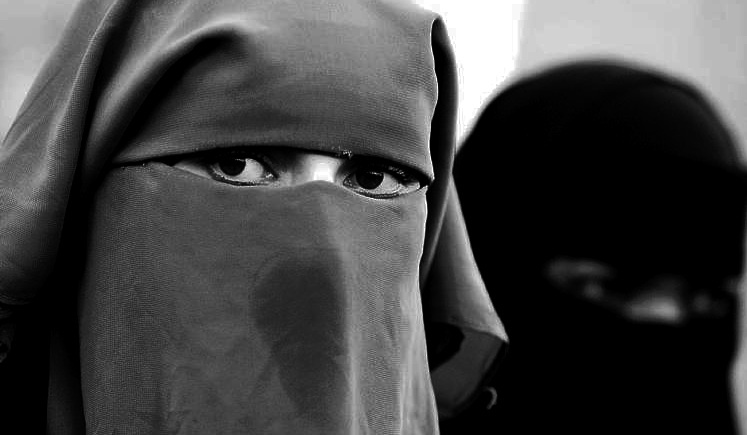 The French government estimates that fewer than 2000 women wear a niqab or burqa. In Holland some 500 women in a Muslim population of one million do so, in Denmark the estimate is fewer than 200 out of 170,000 Muslims. There has not been, as far as I am aware, a comparable survey in Britain, but there is no reason to imagine that the figures are much different. Given these numbers, the burqa or niqab can hardly be held responsible for creating a sense of social separation. There is, in other words, no argument for a blanket state-enforced ban on wearing the burqa or niqab in public, such as that imposed in France. The state should no more determine that a woman cannot wear the burqa than it should insist that she must. The fact that a blanket state ban is wrong does not mean, however, that bans are wrong in all circumstances. Issues of security in banks or airports, or of practicality in hospitals, schools or shops may all, as I have already suggested, require specific regulations about facial coverings. So does the issue of justice in a courtroom. Last week Judge Peter Murphy ruled in a London court that a Muslim defendant, Rebekah Dawson, must remove her full-face veil if she gives evidence in the case but may wear it at other times during her trial. Dawson had claimed that it was against her religious beliefs to show her face in public. ‘The ability of the jury to see the defendant for the purposes of evaluating her evidence is crucial’, the judge observed. ‘The right to give evidence involves a corresponding duty to submit that evidence to the scrutiny of the jury.’ In fact, as the legal commentator Joshua Rosenberg pointed out, the judge arguably did not go far enough. For clear and open justice, Rosenberg argued, it is necessary for the judge and jury to be able to consider the defendant’s demeanour not just when she gives evidence, but throughout her trial. To insist that there should be no blanket ban imposed by the state is only the beginning of the debate about the burqa (or of any other social practice), not the end. A key reason for minimizing the role of the state is to allow civil society to flourish. It is not through the state but in civil society that social values emerge, that ideas and beliefs get debated, that we as individuals truly shape the societies in which we live. ‘Cultural values that oppress and diminish women have no place in our society’, wrote the journalist Alison Pearson last week. I agree. The values embodied in the burqa and the niqab, the belief that women should be hidden from view for reasons of modesty or religious dogma, should be trashed wherever they appear. But such values can be challenged, and new ones crafted, not top down through state prohibitions, as Pearson and others suggest, but only bottom up through social engagement. 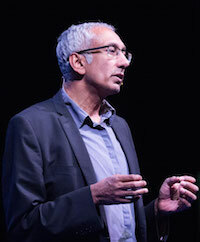 That is why, from the other side of the debate, Tariq Modood’s insistence that people be ‘required’ to show respect towards different cultural mores, and that public arrangements be adapted to accommodate them, is also so problematic; it is an approach that eviscerates both civil society and the idea of freedom. The corollary to the right to wear the burqa is the right, indeed in my eyes the obligation, to challenge the practice of wearing it. It is not just in the controversy over the burqa, but much more broadly in our discussions about culture and values, that the obsession with the state, and with bans and prohibitions, and the failure to nourish civil society, or even to grasp its importance, damages social life. If we want to get beyond the veil, in the sense both of moving the debate on, and of ridding the world of such medievalism, we need to think less about state proscriptions, and more about the cultivation and the transformation of civil society. Photos by Ahmad Masood/Reuters, Fred Ernst/ AP & Sipa Press/Rex. I do not believe the burqa should be banned for adults ‘in the park’. However, as you say, in places of work it is more problematic, for in hospitals, schools and shops where the wearer has to interact with ‘the public’ there is a clear argument that the veil would be unacceptable since it breaks a fundamental element of human interaction, namely the ability to look at the face of the person you are talking to, and thus would not be acceptable to ‘the customer’ to whom it is an alien and troublesome practice. But, how far would current employment and human rights law allow us to take this argument? If you are a small business adevrtising an administrative role in an environment of between 10 and 20 people, would you and should you be allowed to refuse to consider a veiled candidate? What if the role is for a production line worker who will have limited interaction with other employees during her shift? She will nevertheless have to have direct contact with her immediate superior and will make use of the canteen, corridors and ‘rest rooms’? However, in the case of veiling how are we to tell the difference firstly betweeen voluntary and involuntary adoption and secondly between actual coercion and mere social pressue? If the implication of resisting the “social pressure” from family and community is that you could be cut of from your family, disowned & homeless, harassed & vilified by your community and potentially killed, then surely the distinction is worthless? As a society we take many measures to protect indivuals and especially minors against coercion. E.g. the requirement to attend school even if there are some groups who would prefer not to allow this; the restrictions on employment of children; prohibitons about the minor, even voluntarily, receiving a tattoo; ‘age of consent’ laws enacted to protect against coercion or social pressure which apply equally to two fifteen year olds as to a 15 year old and a 30 year old etc. I think that within a system which allows these type of prohibitions there is sufficient precedent to completely ban the wearing of the niqab/burqa by minors, and of having strict rules about the wearing of the hijab. Furthermore, I would suggest that, due to the nature of the coercion, and the reduced level of personal freedom, and thus agency, experienced by young women within the muslim community particularly those most likely to be ‘at risk’, it would be appropriate for such laws to be applicable to those below the age of 21 rather than 18. I take your point about employment law, but that is an argument about employment law, not the burqa. There is a wider issue here. It has become all too common for social disputes to be settled by the courts rather than through social negotiation. It was one of the trends I was criticizing when I suggested that we have become obsessed by the state to the detriment of civil society. But, again, this is not an issue specifically about the burqa. We also need a sense of perspective. 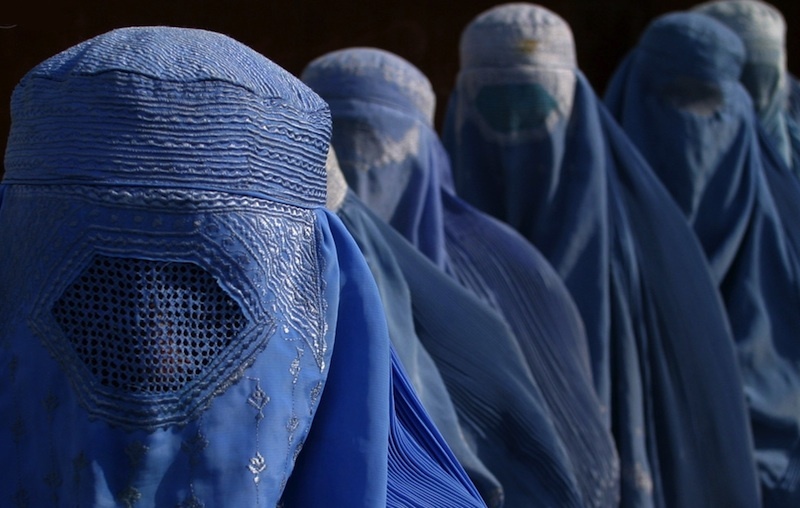 The number of women wearing the burqa is small, the number of disputes over the wearing of the burqa in circumstances where it could cause problems, smaller still. There is no doubt that such cases will pop up, and continue to cause headlines, and will have to be dealt with on a case-by-case basis, but the current furore is disproportionate to the problem. According to the Telegraph , for instance, 17 hospitals already have regulations on this. The Telegraph call them ‘secret bans’, when probably what it means is that the regulations were introduced without any fuss or objection. On the issue of coercion and social pressure, yes, the distinction between the two is not clearcut. That does not mean, however, that the distinction does not exist, nor that it is unimportant. I agree with you that the law, and social institutions, should take a different attitude to minors than to adults. Excellent, Mr. Malik! Very thorough and balanced, as always. Are the premises of your argument accepted by those that insist on the burqa? Or will they see this as the thin edge of the wedge to push further? Clearly they are not, since they ‘insist on the burqa’. Would we accept some new religion that insisted that men always wear the equivalent of ski masks? So that shopkeepers, policemen, bus conductors, taxi cab drivers, etc., etc., etc., who are men are masked? Is the acceptance of masks for women a symptom of an unspoken assumption that they are largely irrelevant? Are you suggesting that there should be a law against men wearing ski masks in all circumstances? If burqa wearing women cannot give testimony in court because their ‘demeanour’ is invisible, what about people with Parkinson’s or other condition with facial paralysis? It gets rather silly. I think that your comparison of involuntary medical conditions with voluntary sartorial choices is ‘silly’. I take a different stance. For decades I was a motorcyclist. I had to take my crash helmet off in a bank, on asking why, it was so they could see my face. I had been going to that bank for over twenty years, and they knew I was biker. I had a stand up row in Tesco as I refused to take it off. I wanted a few items so had a basket, if I hold the basket in one hand, crash helmet in the other, how do I put anything in the basket? It was again to do with being able to identify my face, and I could use it as a weapon. I pointed out that it had cost me over £200 so I was unlikely to use it as weapon, I asked in all the years the manager had been working for Tesco how many times had a crash helmet been used as a weapon. He had no data, but it had not happened on his store in the seven years he had been there. I asked why I had to remove my helmet, identification, I had bought my good and used my loyalty card so they even had my address! I also pointed out it was much easier to hit someone with a crash helmet in my hand rather than on my head. A woman walks past with her face covered, no challenge. When I pointed this out, they went quiet.